This 2007 64 Viking Enclosed Bridge with recently completed engine service is fully loaded and truly a work of art. 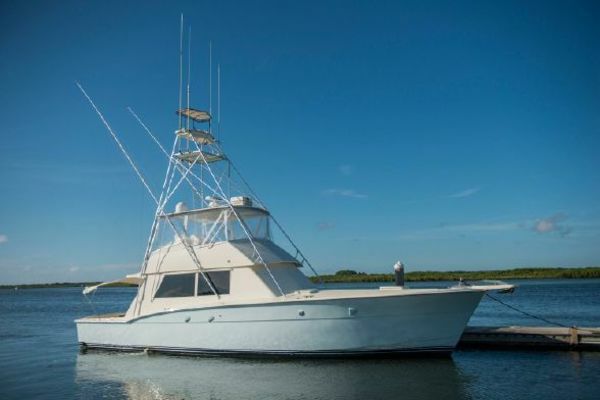 Whether you plan to fish tournaments or cruise she is ready to go. Bad Intentions has all the options, including 2 Eskimo ice chippers in the fishboxes, Mezzanine A/C, a full electronics package and a four stateroom layout with a queen berth forward. Her 2,200 gallons of fuel and a large,comfortable enclosed bridge will get you to the offshore grounds in exceptional comfort and style.